In the days of traditional marketing, you’d have to spend a lot of money on TV advertising and billboards to attract customers. Today, it’s a different story because everything changed with the rise of social media. Now, small businesses have the same marketing tools as big corporations. 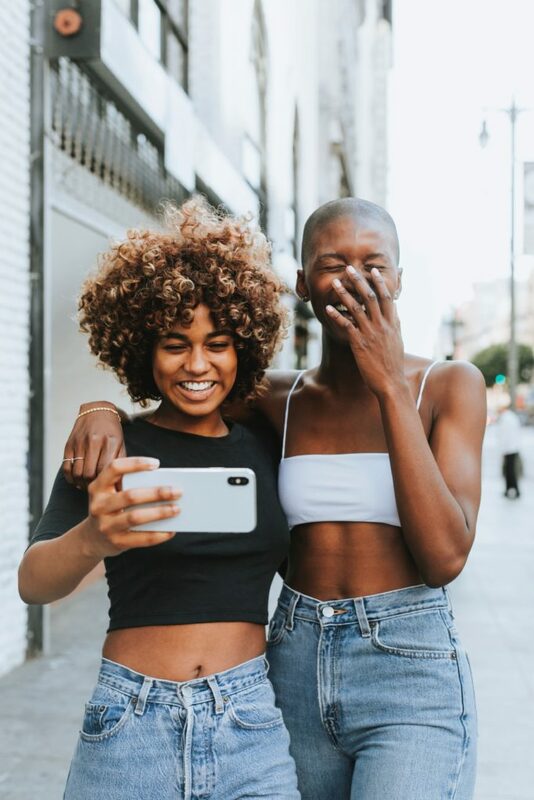 Here is a six-step guide to getting started on social media for those first-timers out there who are excited about building and expanding their business quickly and cost-effectively. So you’ve realized that the majority of your target customers are active social media users. They use social media to inform themselves as well as to make purchases. Besides, you want to reach out to them wherever they are. By building brand awarenessthrough social media, you also create interest. In turn, that boosts your sales and bottom line. It’s the main reason why the networks have become the primary driver of online purchasing activities. What is social media marketing? We can define it as the process of managing prospects and customers with your digital presence through social media platforms. It’s the process of promoting your brand by using prominent sites like LinkedIn, Facebook, Instagram, and Twitter. 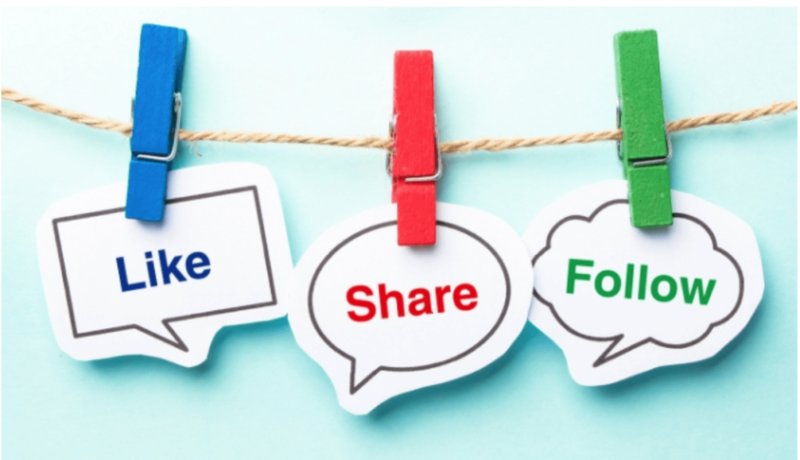 Once you start generating more traffic from social media, you can then redirect the leads into your sales funnel, and start building relationships with them. According to SmartInsights, about 79% of Internet users are present on social media (3,196 billion of the total of 4,021 billion Internet users). That’s almost half of the planet’s population. So let’s see how you should get started with these essential channels. Your ideal customers are those that make your target (preferred) audience. So, identifying your model customer would be the first logical step to getting started. These people are already there and are most likely following the top influencers, leaders, and experts in your industry. Tap into that pool of potential prospects and redirect them to become focused on your brand and what it has to offer. For example, if you sell sports gear, you need to figure out where that audience is currently active online. Make a list of sports gear sales leaders, such as Nike, Adidas, and Reebok, then analyze and target their audience. Trying to be active on all major social media networks is a pitfall you should avoid; at least at the beginning. Getting started on social mediarequires you to find out where the majority of your target audience is active the most. That’s your place to start. These platforms may include Facebook, Instagram, Twitter, LinkedIn, Pinterest, and Reddit. All these platforms are high-authority networks that can help your rank high in search engines. The more relevant content you post there (and receive likes, comments, and shares), the more visible you’ll be to your potential customers. After identifying your ideal customers and creating accounts, the next step is engaging them. Start by following your competitors’ audiences on social media. Identify the power followers (those with more than 2,000 of their followers.) You can apply this strategy across LinkedIn, Facebook, Instagram, and Twitter. These people are in the same industry as the social accounts they currently follow. That’s why it’s more likely that they’ll want to follow you as well. It’s important to know that these power followers look closely at their audiences as they build their network. Spend a month adding about 200 people on each social channel. Do that until you follow a few thousand people. Then, you should take a look at who’s not following you in return. These people are not interested in your brand and its offerings. If you want to generate more traffic to your site, you should aim to share existing viral content. Use a social media management tool to find popular content to curate. Type in the hashtag or keyword you want to follow. That way, you’ll discover great material that will catch the eye of your ideal customer. Look for viral videos on YouTube or stories with eye-catching headlines. Post it to your blog (along with a description and an image), and then post it across all your social media profiles. You can write an article on the same topic (but from your perspective), come up with a better headline, and apply the same sharing strategy. Of course, don’t fret to post your original content, as well. For an effective social media marketing, you need to develop a plan. Having a strategy and knowing where to go is essential before getting started on social media. Social sharing is demanding and time-consuming, and you shouldn’t share whenever you like. You need to find out at what time of the day your audience is most active on social media. Determine how many Facebook shares or tweets you want to make each day and at what time. Schedule your posts with your social media management tool. What you’ll have to do manually is to interact with likes and comments. And last but not least, another way to throw some fuel on the fire is through paid advertising on social media. Free marketing strategies are great, but it can take time before you get some superior results. Platforms like Facebook and LinkedIn have amazing targeting systems that make it a lot easier to distribute your content to the right people. Don’t ignore it or be afraid of using paid social media ads, as they’re great for boosting brand visibility. With all-encompassing social media marketing tools like eClincher, you’ll be able to kickstart your social media presence easily. It enables you to interact with your audience, curate content, and schedule and publish your posts. The tool supports all major social media platforms, such as Facebook, Instagram, Twitter, Pinterest, LinkedIn, YouTube, Google My Business, Blogger, Yelp, and other networks to come. Ultimately, you get an analytics tool for tracking the right metrics and measure the success of your social media campaigns. We’ve shared our guide to getting started on social media. There’s a lot of good advice on what works and what doesn’t, as well as the common pitfalls you should avoid. To see a consistent growth of followers and acquire loyal customers, then these strategies will surely be a great help. Remember that it takes time to experience the results, so arm yourself with patience, determination, and consistency. Take one step at a time, and once you master the basics, proceed to experiment to find the formula that fits your business.